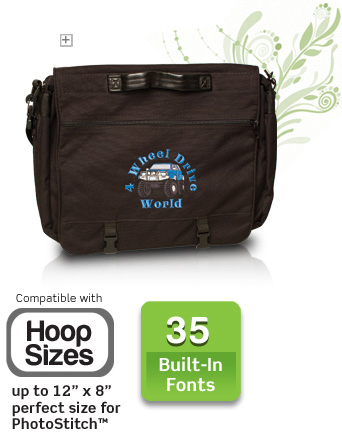 embroidery design and editing software. level of expertise, there’s a software for you. 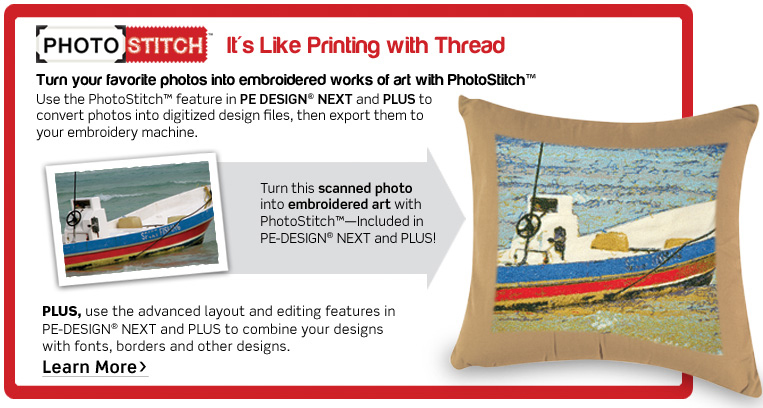 software can enhance any creative embroidery design project. Go ahead. . . play a little! Already own PE-DESIGN® versions 5.0, 6.0, 7.0 or 8.0? 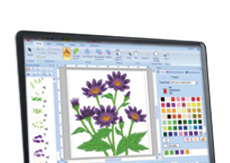 You can still enjoy all the new and enhanced features of PE-DESIGN® NEXT by easily upgrading your existing software with PE-DESIGN® NEXT Upgrade.